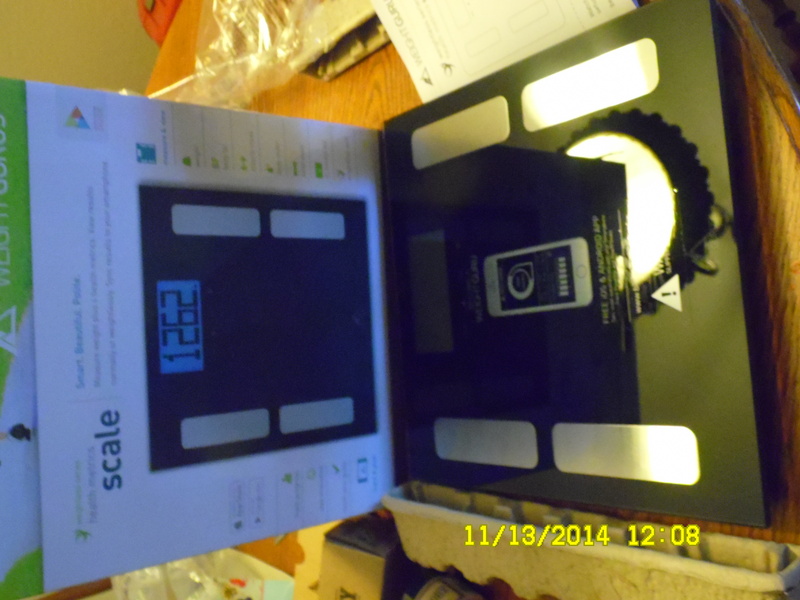 This scale is amazing, I love the fact that I can track my weight bmi and muscle all from my smart phone or tablet. It has large Black display of the weight, with a led blue background. Also, what I like about it , is when you dont have the right profile up on the tablet or phone it will let you know something is not right. Its easy to clan if it get dirty , as you know how kids are, they dont like socks or shoes on around the house. Compared to other scales I have never seen one like this. I have a family of 6 living in my home, and i like the that I can set up a profile for each of them , i have 3 children and one on of them I have to carefully watch her weight due to her medical problems, and My new baby who is starting to stand I am able to watch her weight. This is just not for individulas who want to lose weight but for individulas who what to stary healy . I give this above 5 stars. YOu can buy this at amazon for a very reasonable price. It also tracks your body weight which is amazing. That a scale like this has so many functions. I was thrilled when I was chosen to review this for free for this review.